1. mix the clay with some warm water so that it becomes a creamy mask, apply over the area of concern. Place the bandages in a bowl/sink of hot water for a couple of minutes, remove and wring out well and wrap the hot damp bandages over the clay. Leave on for 60mins. 2. pour the clay powder into the Tupperware container and add very warm water (see instructions, mix well, and place bandages in the solution and let them absorb the solution for a few minutes. Remove one bandage at a time, wring our reasonably well – but not overly so, and wrap the bandage over the area of concern. Leave for 60mins. Within the kit, you will find a plastic type over suit you can place on your body over the bandaged area. For the very best results, it would be good to exfoliate or body brush the area before applying the wrap. It is quite safe to re-apply the wrap as and when required. You can simply purchase extra clay when required, the bandages can be washed between use and used again and again, but extra bandages are also available for purchase. 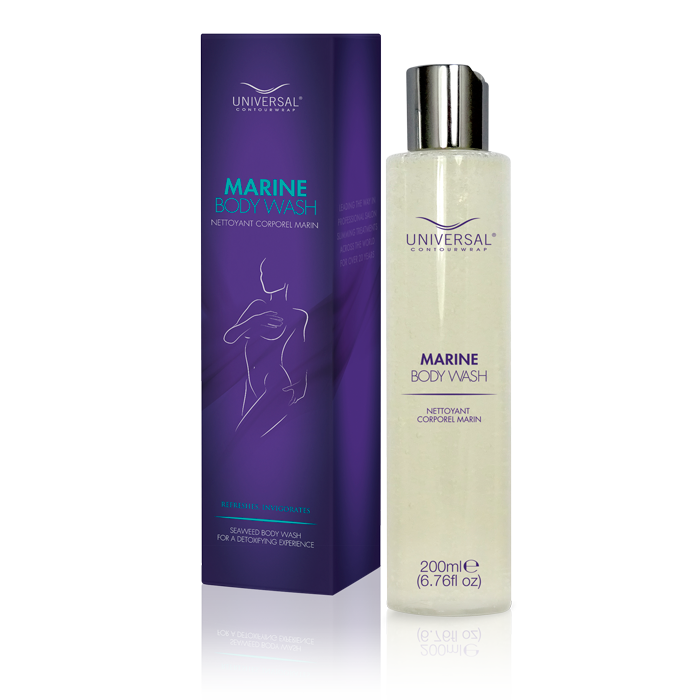 Our latest blend of concentrated ingredients to provide the ultimate partial body wrap. Enough to cover 3 partial body wrap treatments. Simply add Classic Clay, bandages and warm water. Quality, re-usable and machine washable bandages that provide the correct tension for the most effective body wrap. Helps with accurate measurements and calculating your results. Use before and after your treatment to calculate your results. Cover your wrapped body parts during your treatment to retain moisture and warmth whilst protecting your furniture from the clay solution. How does the Body Wrap Slimming Kit Work? A unique blend of mineral rich clay and specialised body wrapping techniques help cleanse your body & draw out toxins whilst actively compressing the soft fatty tissues to create instant inch loss and a body sculpting effect. Once the warm clay-soaked bandages are applied, you can lie back and relax for an hour while the slimming body wrap gets to work. After the Body Wrap Slimming Kit bandages have been removed, the special Classic Clay solution remains in the pores of the skin and your inch loss can continue for three to four days. We recommend during this time to wash only with tepid water, although this is optional. After the body wrap you should also drink plenty of water to help flush and rid your body of impurities. Unlike our Professional Body Wrap which offers a 6 inch guarantee, we cannot guarantee any inch loss from this Home Care Body Wrap Slimming Kit. This is primarily down to the fact that our specially trained therapists apply the body wrap technique with precise skill. We offer full instructions for you to do this at home, but as you will be wrapping only a small area on the body, the results cannot be compared to our professional treatment. Whilst this product does not offer any weight loss claims, the detoxification and compression process can help you tighten and tone the skin, often resulting in inch loss, however all clients' results will vary depending on diet, health and lifestyle.